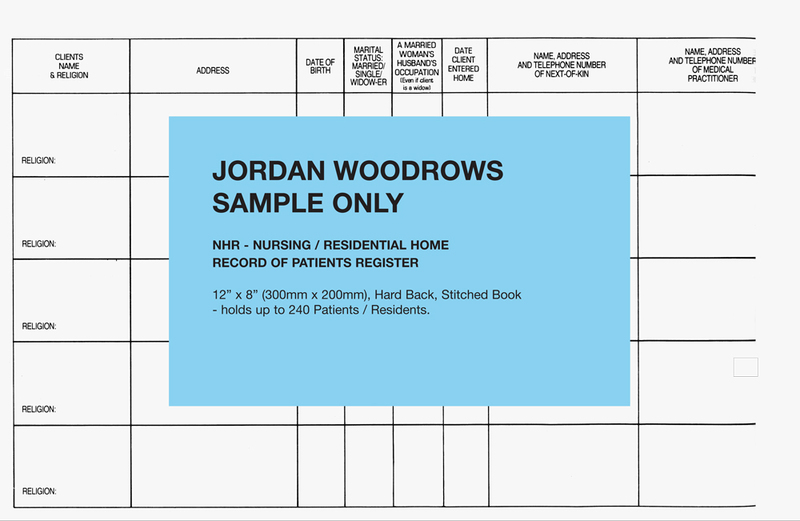 NHR – Register of Patients: Used in residential/nursing homes. 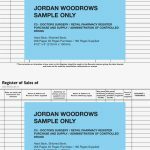 Full record of patients/residents details all in one place. 12×8″ Holds info for up to 240 Residents/Patients. UK Mainland £5.00 delivery on all orders under £100.00, FREE delivery on orders over £100.00. Carrier surcharges apply for orders to the Scottish Highlands, Northern Ireland and other Offshore Islands. Please telephone for prices. Delivery usually within 24 hours to UK Mainland. (excludes Scottish Highlands) Scottish Highlands, Northern Ireland and Offshore, 2/3 working days. No Liability accepted for any delays. Damaged or shortage of goods must be reported within 48hrs of receipt, non-delivery within 28 days of order date. Goods to be returned must be packed well and unused, all goods returned within 14days of purchase will be refunded less cost of postage. 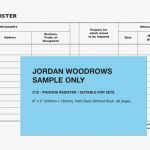 Jordan Woodrows Ltd Princes Street, Derby Road, Liverpool L20 8QF.